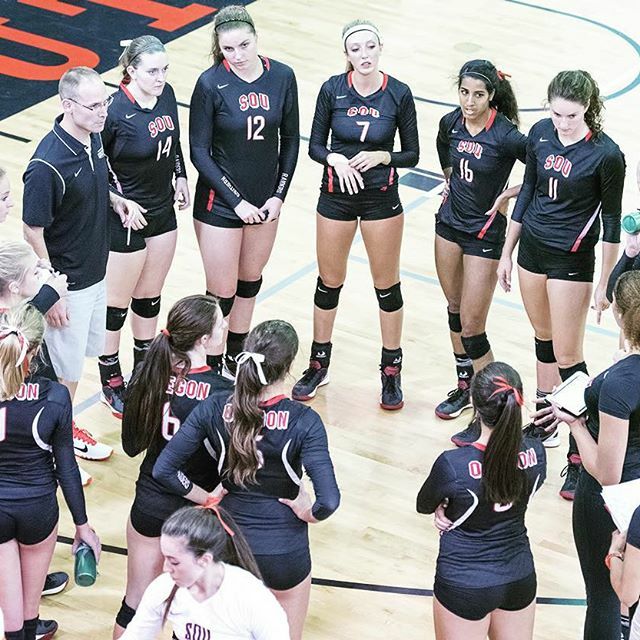 The Southern Oregon University (SOU) volleyball team took the court this weekend with conference playoffs right around the corner, and hopes to keep their dream of a conference championship alive. They had a rough start to the weekend, losing to the number one team in conference, Eastern Oregon University (EOU) three games to one. This loss sent them down to third in conference, but they bounced back the next night in a gutsy, three games to two win against College of Idaho (C of I). With the win, the lady Raiders replaced C of I as second place in the conference standings. 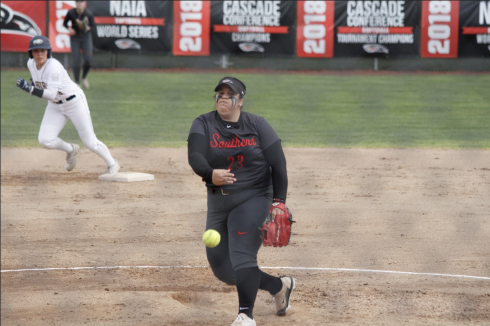 Despite holding the edge in almost every statistical category Friday night, SOU was unable to get the win, which ultimately ended their dream of being regular season conference champs. SOU lost the first two games by just two points each and bounced back strong winning the third game 19-25. SOU looked in control of the fourth game with a 19-13 lead, but EOU pulled within 1 at 20-21 and then rattled off four straight service points. The match point came on SOU’s 31st error, but the player’s know these mistakes are fixable. “We played hard and well which makes a loss more tolerable. It was our controllable mistakes that allowed Eastern to win and we know how to fix those for next time,” says Nikki Small, a junior outside hitter. SOU has been rolling all season with an overall record of 22-3 and 15-3 conference record. 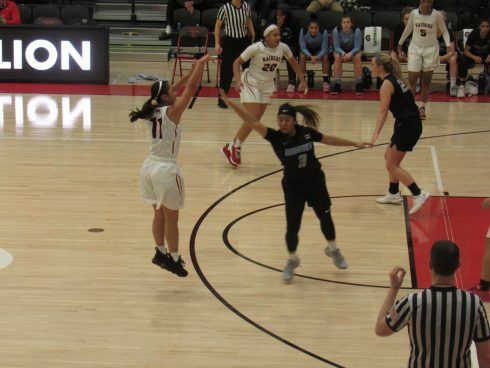 The loss on Friday did end the Raiders regular season championship dreams, however they still secured a number one seed in the conference tournament on October 13th and 14th. In the meantime, they will hone their skills and try to gain some momentum heading into the tournament. SOU’s final two games of the regular season are on the road against Northwest Christian University and Corban University. The Raiders started the season with back to back wins against these teams in straight sets, but SOU is viewing this weekend as a chance to find their stride heading into the conference tournament. “Each day in practice is a chance to improve and I know we will refuse to take that for granted. We play two awesome teams this weekend in Eugene and Salem to gain some momentum. This could set us up to have great opportunity to fly around the court and win the tournament,” says Senior Corynn Kopra.